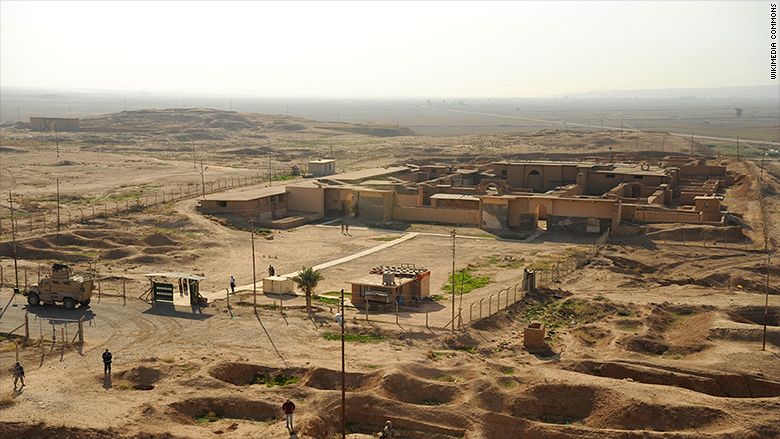 When Ben Kacyra was growing up in Mosul, Iraq, he would travel to the outskirts of the city with his father and visit the ancient Assyrian city of Nimrud. "He'd take me by the hand and we'd go walk through the ruins," said Kacyra. "My dad being a history buff, he used to know a lot of the sites and he used to tell us all about them." In March, ISIS fighters bulldozed the 3,000-year-old pre-Islamic site, which contained shrines and statues the group considers heretical. Kacyra, 75, dedicates his life to digitally preserving and documenting heritage sites like Nimrud using 3D-scanning technology. His nonprofit CyArk is rushing to preserve important archaeological sites in Syria, Iraq and other conflict zones in the Middle East. This week, it announced that it's teaming up with the International Council of Monuments and Sites for an emergency response called Project Anqa. They've already completed a scan of the first site, the Ziggurat of Ur in Iraq, and are considering the historical center of Damascus in Syria. CyArk creates 3D renderings by using laser scanners that can document sites down to the millimeter level. They bounce millions of points of light off a ruin's surface, reading every detailed carving, crack and brick. The readings are combined with high-quality photographs to create richly detailed digital models. It can take anywhere from three days to a week to document a site, and costs around $50,000. Kacyra, a former civil engineer, was inspired to focus on digital preservation in 2001 when the Taliban used dynamite to destroy the ancient Buddhas of Bamiyan in Afghanistan -- towering statues that were carved into the side of a cliff more than 1,500 years earlier. So far, CyArk has completed 90 sites, including Babylon in Iraq, Pompeii in Italy, Rani-ki-Vav in India, Tikal in Guatemala and Angkor Wat in Cambodia. The group has scanned modern landmarks like the Lincoln Memorial and Sydney Opera House, and still-active historic cities such as New Orleans and Philadelphia. The high-fidelity 3D "reality captures" have multiple lives. Conservators use them for the management and preservation of their historical sites. In 2009, CyArk mapped the Royal Tombs at Kasubi in Uganda. When it burned down a year later, CyArk was able to provide restoration teams with engineering-grade blueprints to help reconstruction. The information is also shared with the public in the form of virtual tours, 3D prints and museum exhibits. "We feel that preservation of these sites for future generations is critical for the human race," said Kacyra. "At the same time, we are losing these sites rapidly." Unfortunately, CyArk was not able to get to Nimrud in time. While many of its artifacts had already been moved to museums and universities, the place Kacyra explored with his father is largely gone. "It's senseless destruction, tearing down the fabric of our knowledge, tearing the fabric of our history," said Kacyra. "We are losing them faster than we can preserve them."